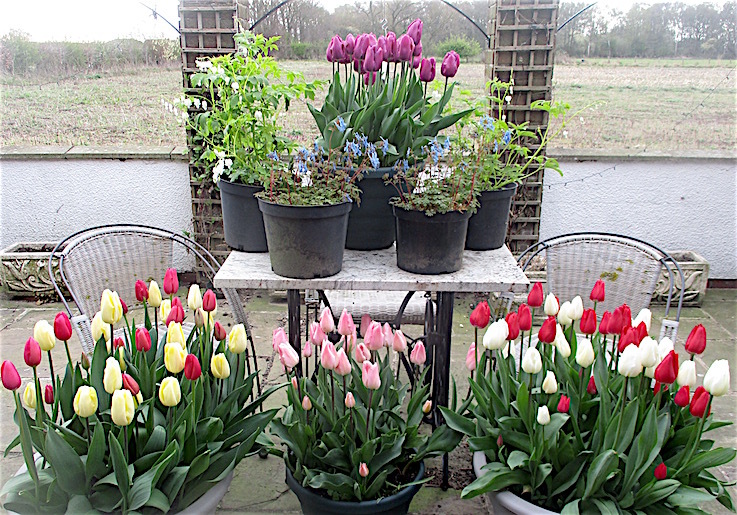 As I write this, there is a colourful display of bulbs outside our conservatory window. Its not for want of Brenda constantly reminding me how Peter’s display is so superior. 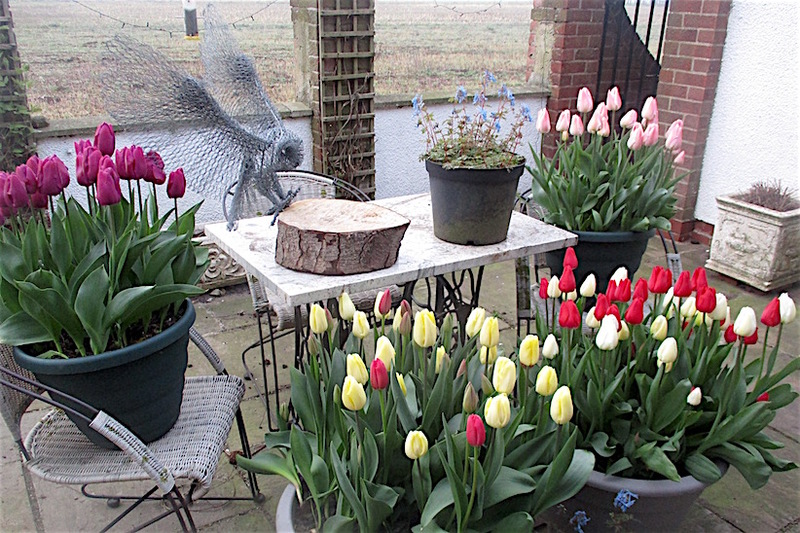 This year I have taken the challenge and splashed out on a sequence of bold displays of snowdrops, narcissus, tulips and (yet to flower) lilies. The snowdrops came out of the ground and I splurged seventy pounds on 150 Tète a Tète daffodils, 200 tulips and 36 lilies from Parker’s Wholesale. Lugging large tubs backwards and forwards palls as a gardener gets older. We have plenty of fairly large hardware containers but they aren’t half heavy and to challenge Peter I need very large ones. These days I am prepared to go plastic They are so much lighter and nowadays so much improved and quite tasteful. I purchased two huge ones, perhaps forty litres and four more not much smaller. For the lilies I made do with my existing smaller hardware tubs. I still had the problem that my soil/char compost is rather heavy. 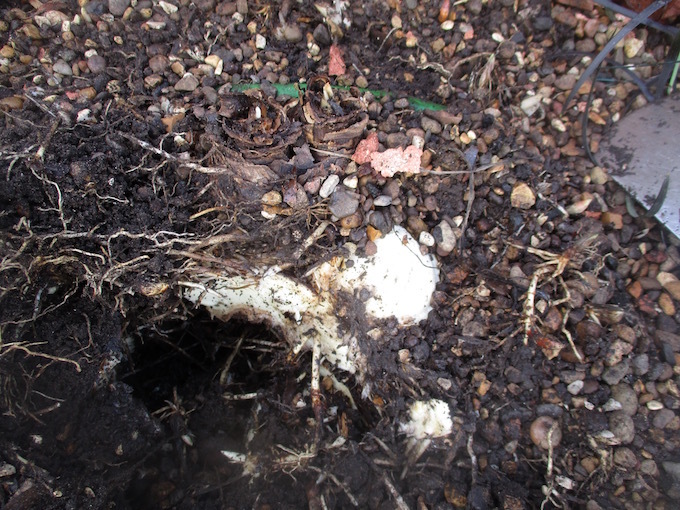 Some gardeners bulk up their large pots and economise on compost with light polystyrene granules at the base. I hate this practice and of course my homemade compost is free. At bulb planting time I have copious Autumn leaves. Why not pack them under the compost? I hope the pictures show that this was very successful and the bulb roots penetrated quickly and densely - a large water reserve unlike horrid polystyrene. I can report the method worked superbly well. As expected there was slight shrinkage by Spring but not such you would notice. 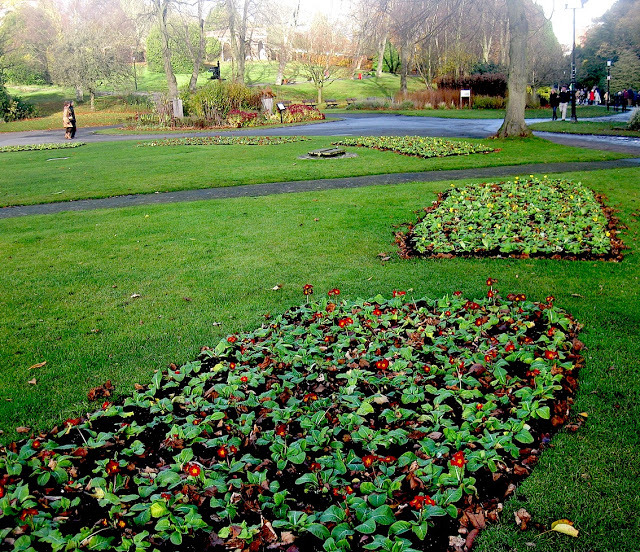 I think that this method would also work for Summer bedding but continuing leaf shrinkage would be too severe for long term planting without further refreshing. 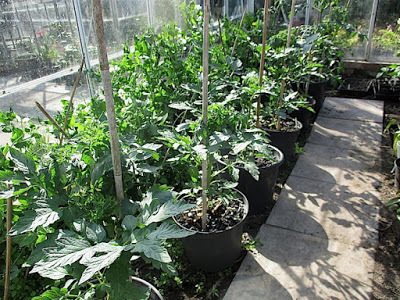 Although plastic pots filled with light compost can be too light and top heavy not with large low containers. 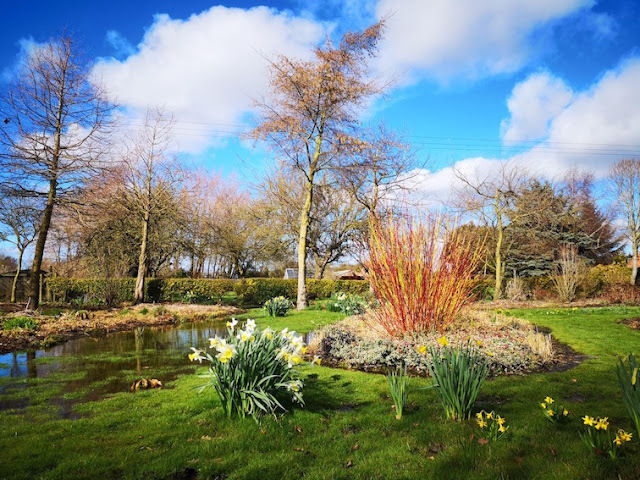 Yaramila multi-nutrient fertiliser has been mixed in - improvements to current years flowering will be small but will help make strong bulbs for next year. 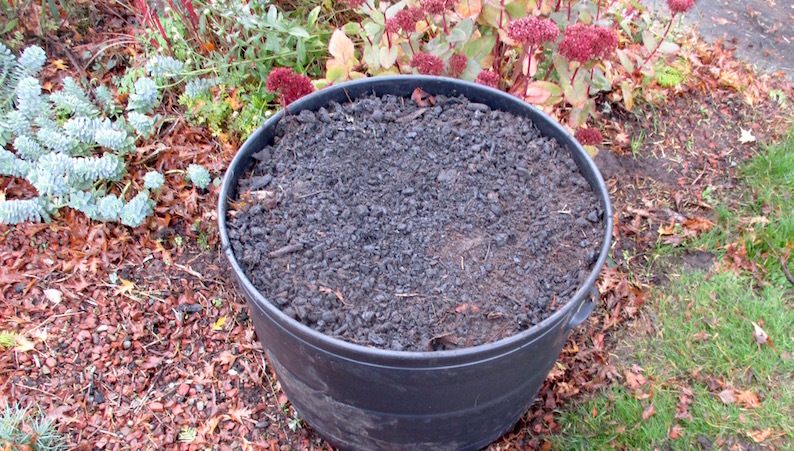 A quarter filled with my soil/char compost after leaves' sinkage. All the pots permanently outside on standing area. 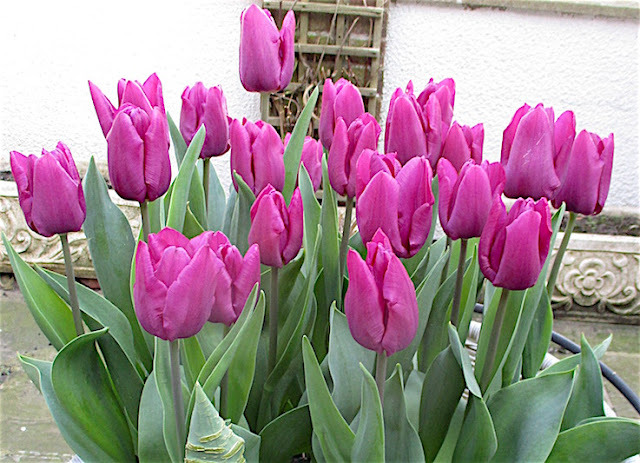 Tulips deliberately sown late at end of November. 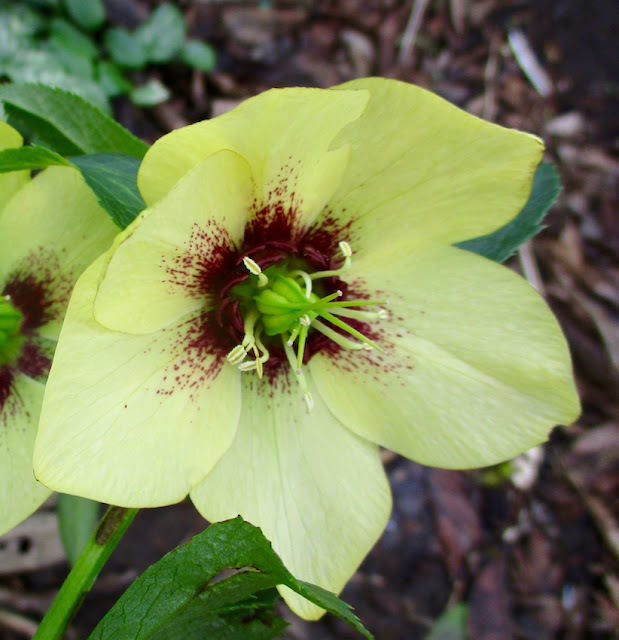 Early planting gives too much time for accidents and has no merit. 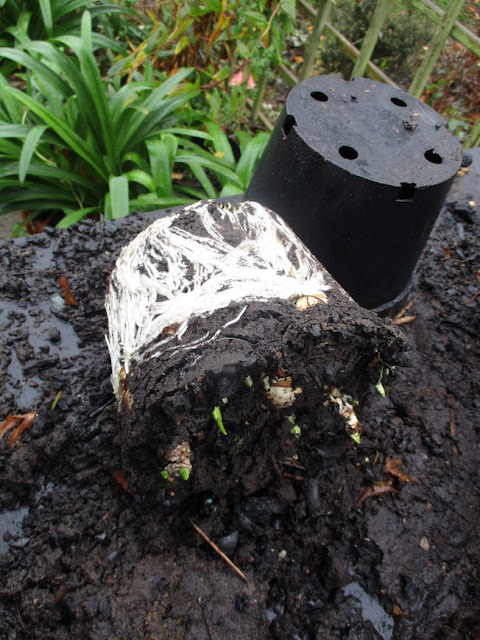 On the other hand early planting and time to make a healthy root system is essential for daffodils (And many Spring bulbs, especially hyacinths). At this stage I had not acquired the final display containers. Change of plan - bulbs plunged again! Several weeks later management intervened! Brenda insisted that this hardware container must be planted. I did have two spare large plastic tubs and invited her to do it herself. 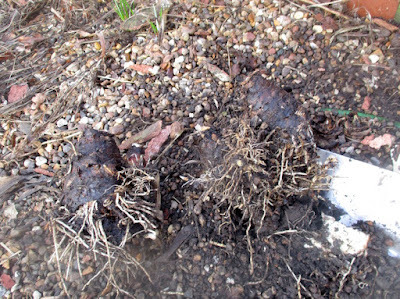 Already the under leaves were flush with new roots and there would be inevitable damage. These are the heavy pots we find so difficult. 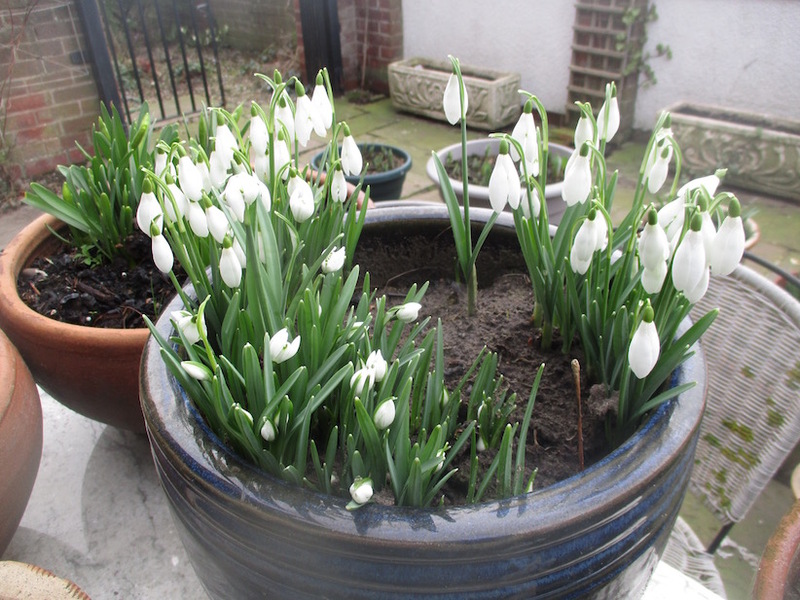 Perhaps I should have lifted a more generous filling of snowdrops? 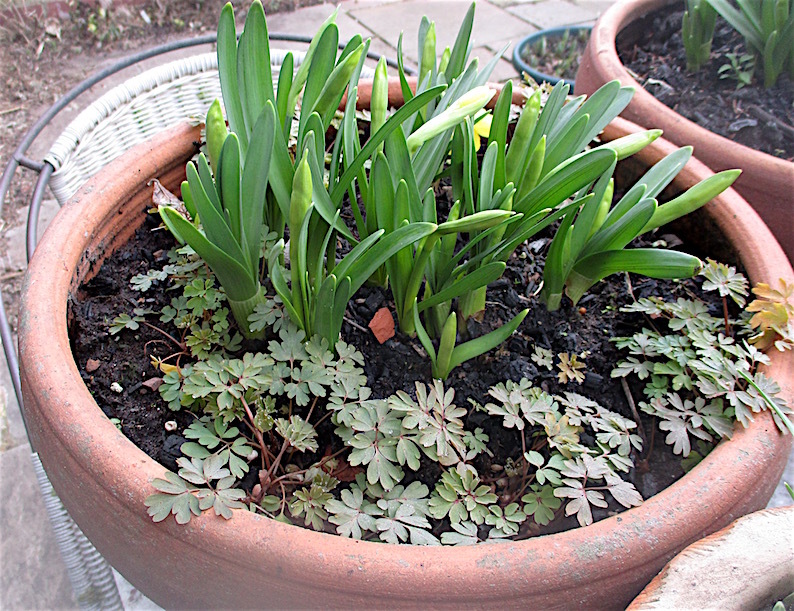 On a whim I tried one daffodil pot with corydalis. 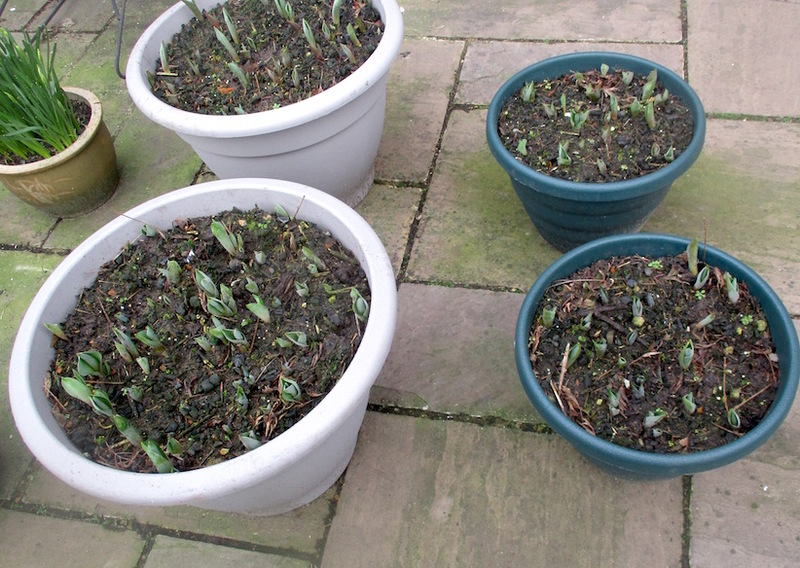 Failure, the daffs completely outgrew them. They might as well not have been there. 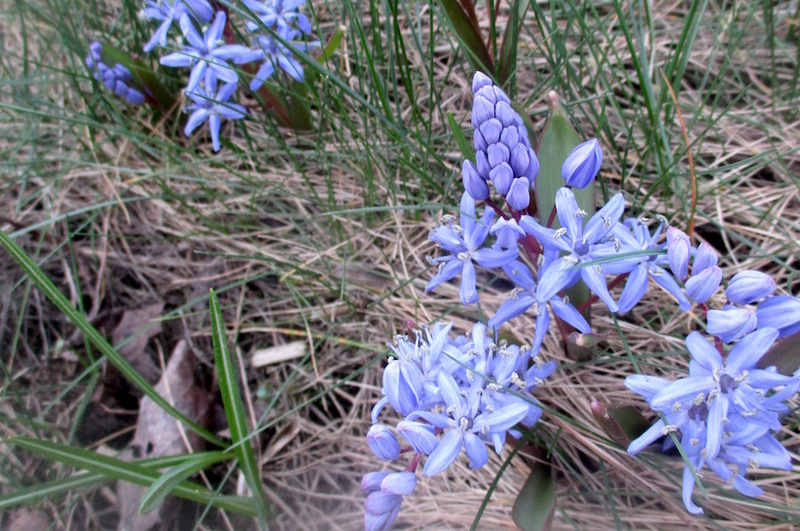 I write now at the end of my Spring bulb season and my bulbs have surpassed our wildest expectations. 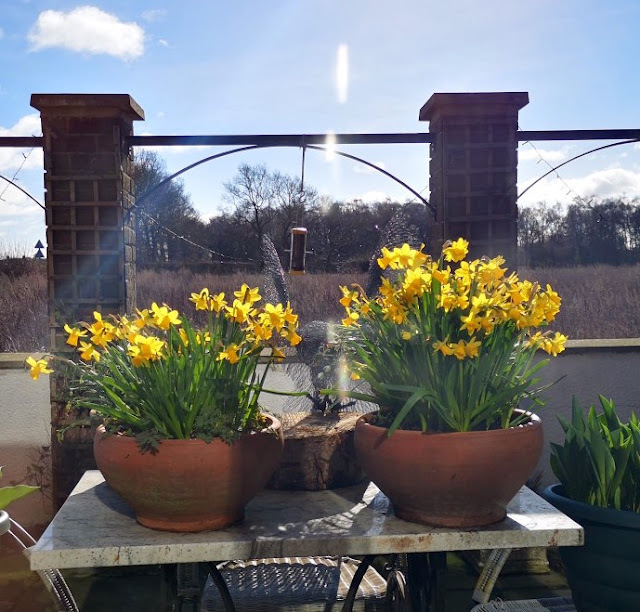 Brenda shuffles the bulbs around to make lovely large displays outside our (live in) conservatory windows and they have given us much joy from mid January to mid mid April. 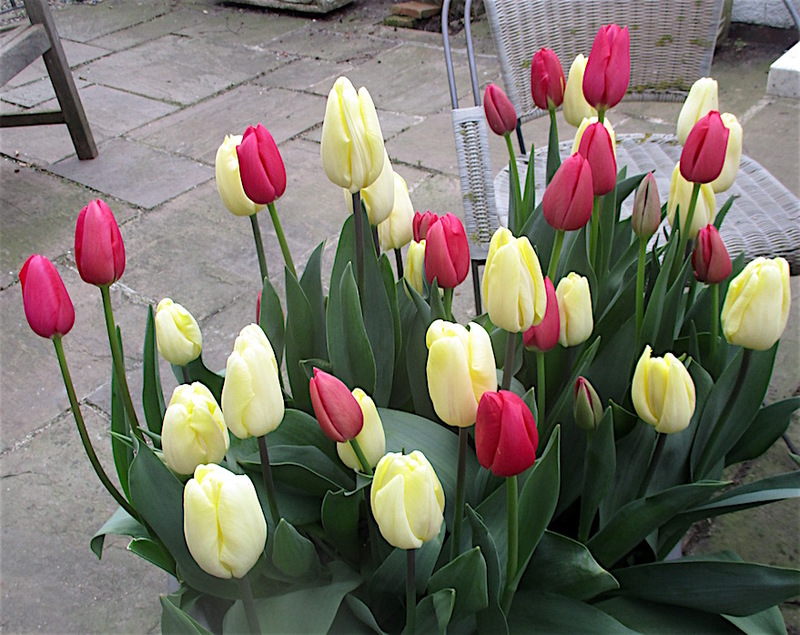 In particular the tulips have been a revelation. Their colours are so bright and strong and massed together are strong and free standing despite persistent windy conditions and some stood high on a table. I tend to think of tulips as rapidly going over on warm Spring or early Summer days. 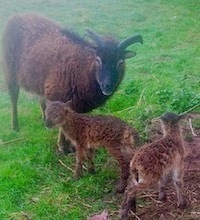 Not these (yet). Each of my six varieties have elegantly merged their continuity to give us six weeks of continuous flowers and as I look out today on Easter Sunday all massed together still make a fine display. No single variety has give us less than a month’s strong flower. It has been unusually windy and dehydrating and through the last month they have needed generous watering every three to five days. 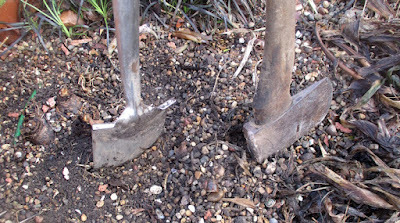 Many new gardeners overlook this - it applies to tub planting but not in the ground. As to sinkage of the underlying Autumn leaves, after a small initial drop it has been barely discernible and a slightly deeper rim completely disguised by strong leaves gives room to water. 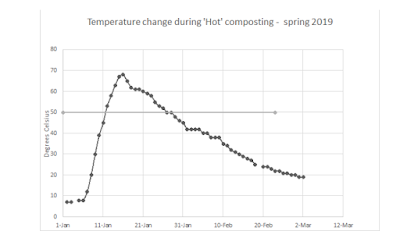 I think Peter Williams’ recent article on hot composting was a major contribution to the literature on making garden compost and what you do with it. It was a long article and some of its content is worthy of further examination - in particular to answer any digs at my own methods. These of course are just part of the friendly rivalry between us. You might have twigged that the John McEnroe quote ‘you cannot be serious’ in Peter's title was my own repost to the very idea of all that effort. I have teased before that some gardeners live to make compost. 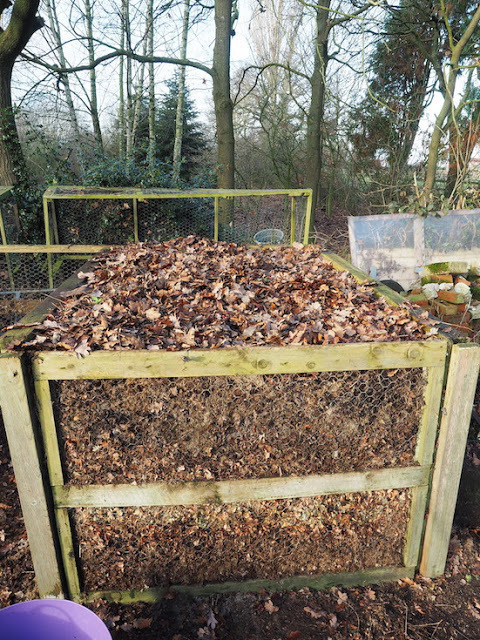 Regular readers will know that although I do not usually make garden compost I do recycle all my organic matter - whether by letting weeds desiccate on the surface, letting leaves and debris lie, mulch mowing, burying small prunings and newspaper, and burning waste wood to make charcoal. Unlike Peter, for me, nothing goes in the municipal green bin.I was surprised that Peter claims to put weeds in the said bin. The truth is that his weed control is nearly as good as my own. (In some cases it is my own - I have an arrangement that he does handyman work for Brenda and in return I spray parts of his garden). It is probably only perennial weed from distant fringes that Peter so cycles. 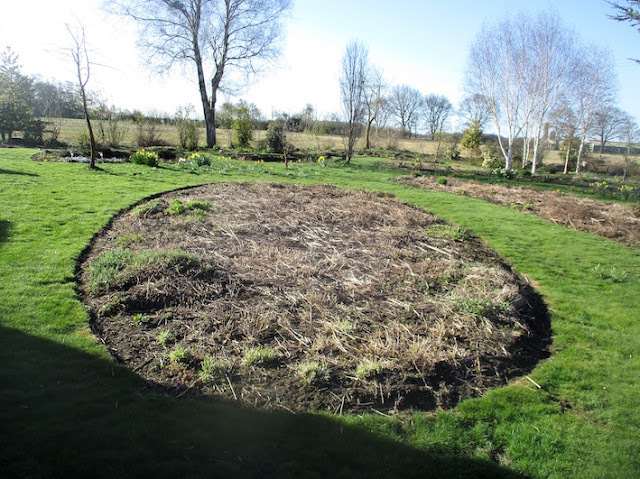 Peter’s own figures of the very high temperatures achieved in his heap is evidence that all weed seeds will be killed - such as grass seed inevitable in his mowings - and other than perennial weeds he could safely include weeds when making compost. 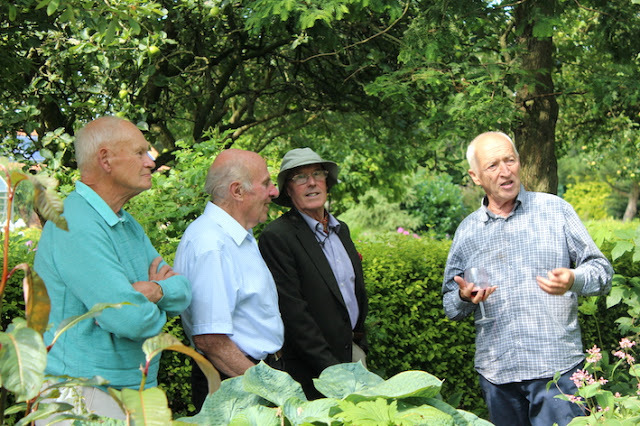 Peter made an aside about how in natural woodland an organic layer forms and goes on to explain that this does not happen in gardener’s soils which are mixed by cultivation. To an extent organic layers might develop in his own wood when he mulches on the surface. He mischievously suggests that less mixing might occur in my own no dig garden. 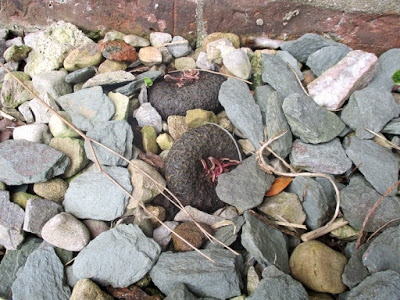 Readers might be aware that in some natural landscapes, especially in the USA, introduction of earthworms is a very bad thing. 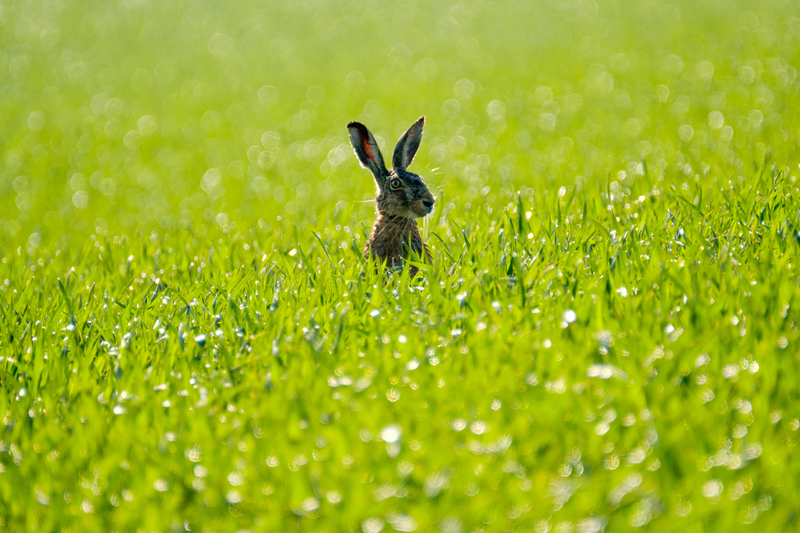 In such places native vegetation better survives in undisturbed unmixed soil. A fascinating aspect of Peter’s explanation of decay is that it is not just a breakdown process but also one of building. Most raw compost ingredients as part of their complex journey becomes a bacteria, a fungus, an insect, an arthropod, a worm or whatever. Often several in turn. Peter correctly states that speed of decay is more rapid when the carbon/nitrogen ratio of the compost ingredients is low. 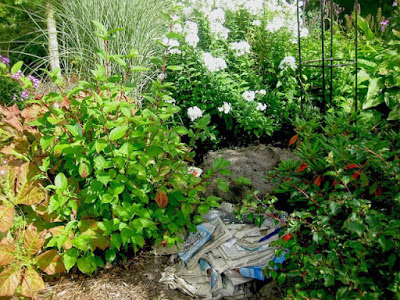 Most gardeners including myself are in accord with the idea that adding nitrogen nutrient such as urine speeds decay. I am somewhat embarrassed about this as I did a post based on very credible research that adding nitrogen fertiliser does NOT increase the speed of decay of compost ingredients such as strawy material which starts with a high carbon/nitrogen ratio ( - as opposed to getting a favourable ratio by mixing varied ingredients). Ah well you can’t win them all. No wonder we have so many gardening myths. Peter mentions that the wide carbon/nitrogen ratio of paper and cardboard gives it an extremely low breakdown if added to a compost heap. I can certainly vouch for this and some of you will have read my post about burying reams of newspaper for long term water conservation. It hardly breaks down at all and a decade later you can still decipher the print. Be careful what you bury! I confess to editing out Peter’s thoughtful theory about the ‘dark’ component of photosynthesis proceeding in his mowings - now quoted. His post was getting a bit long! 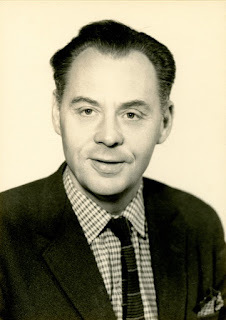 I have not been unafraid to quote speculative stuff such as my friend Alan Warwick’s theory about how water gets to the top of very tall trees or my own sympathy with Eugene McCarthy’s suggestion that pigs might have a place in our very early ancestry. I find Peter’s hypothesis is pretty plausible. “Freshly mown grass cut in summer heats up surprisingly quickly and this has always intrigued me. If the grass box of even a small mower is not emptied, the temperature will rise to approximately 40 C in just a couple of hours. The same goes for grass cuttings tipped into a storage bay. The high temperature is only short lived and falls to the ambient air temperature in a day or so depending on the size of the pile. What I find intriguing is why the clippings heat so rapidly. Even accepting that the cut grass leaves will be coated in microbes, I would not expect decomposition or fermentation processes to occur so rapidly and almost without a lag phase. I have wondered whether this initial temperature rise is due, at least in part, to the ‘dark’ or enzymatic reactions of photosynthesis that must be occurring very rapidly in full light in summer. The temperature rise of stored, cut grass is noticeable lower in winter. This might simply be because the ambient temperature is lower or just perhaps, because in the dim (i.e. 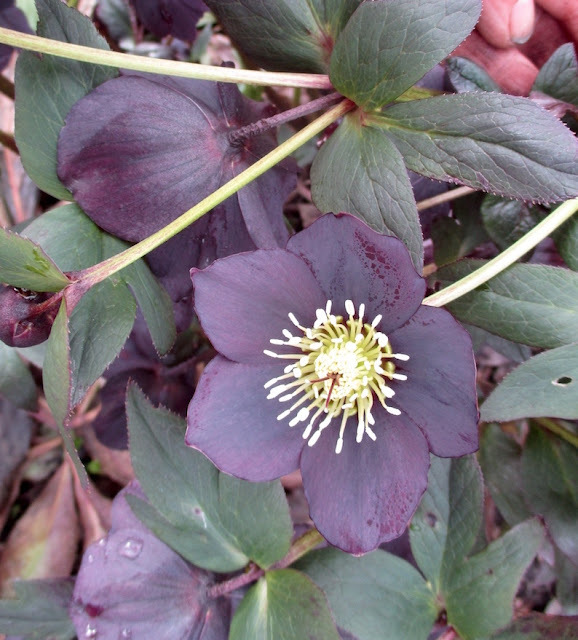 low intensity light), short days of winter, the ‘dark’ reactions of photosynthesis are progressing very slowly. Perhaps I will investigate this phenomenon as a small project. (As a preliminary experiment, I mowed an area of grass early this week (January) and deposited it in an empty bay. There has been a negligible temperature rise)”. In Peter’s discussion about how he uses his compost he casts doubt about the water conservation reputation of mulching with compost. 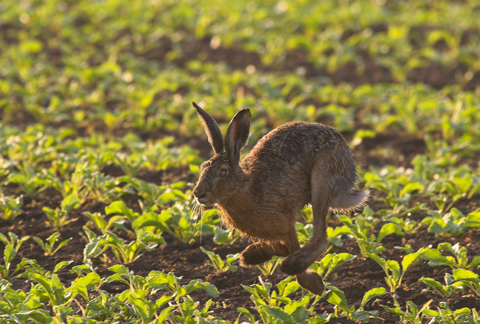 Although he works his away round to conceding that the overall effect of organic matter is to conserve water he casts doubt about the benefit of an ultimately dry layer of water absorptive stuff on the surface. In dry spells it keeps rainfall out - at least until roots grow into it, which when wet they surely will. I have long thought mulching is overrated for water conservation when the mulching material itself is water absorptive. I have written before how in contrast gravel, small stones or unsealed paving are superb for water conservation and repeatedly act like one way valves for water from even very light rainfall through long dry Summers." Compost as an ingredient in compost! Apologies to our friends over the water. 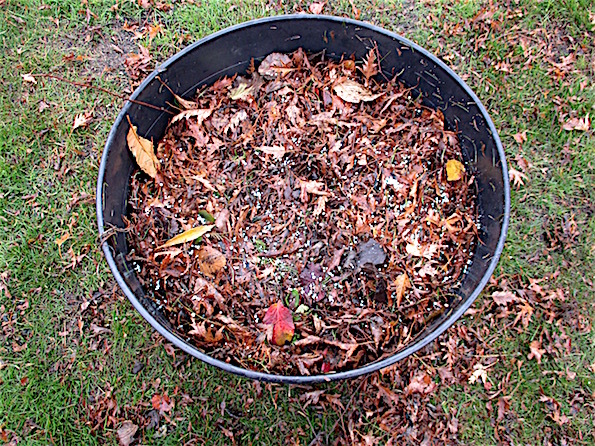 In English english compost has two meanings - that from a decayed heap and the stuff used as a mix! A renowned USA scientific gardening blog professes that for reasons of hygiene the first should not be used to make the other! Absolute rubbish. (I mean the concept not the compost). Peter has no problems whatsoever with the wonderful stuff he mixes (although I did overlook he uses peat for his seed compost). 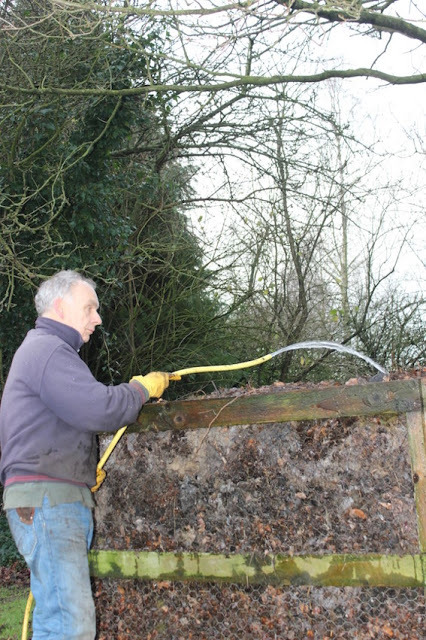 After all in Victorian times compost and compost were one and the same! 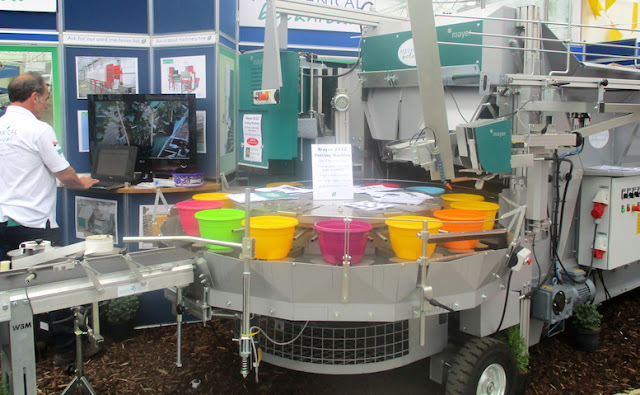 I was pleased about my article on nitrogen fertiliser failing to speed composting - even though it fell on deaf ears and my original source completely forgot he had ever mentioned it! 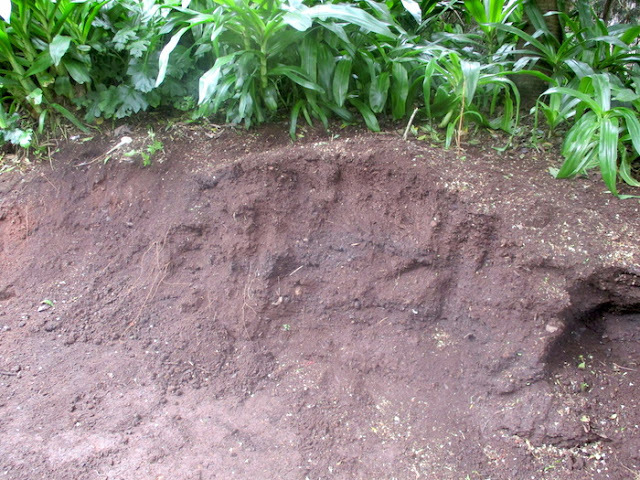 My pure silt/sand soil lies over clay several metres down. 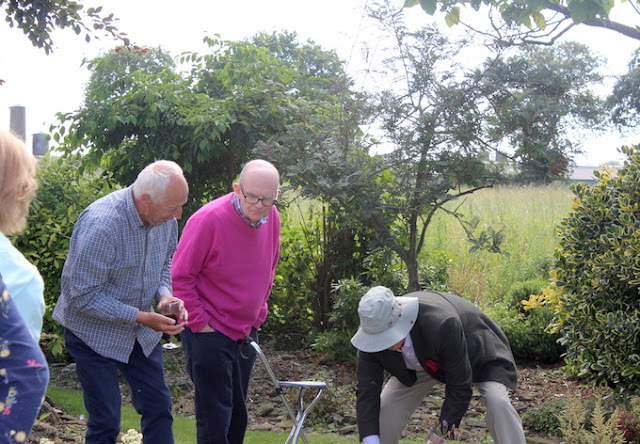 The top to bottom fall of the garden is a metre and the fall from adjacent land is the same. The lower garden is wonderful in Summer when after heavy rain the lower parts receive drainage water and moisture loving plants thrive. The deep clay layer which is almost impermeable to water is overlaid by wonderfully drained sandy soil. 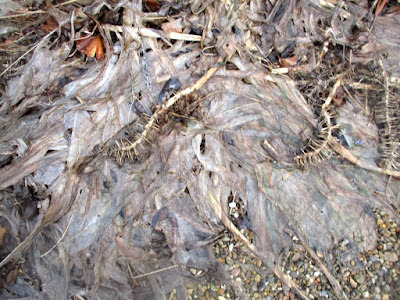 Like all soils the soil moisture deficit accumulates through the Summer as plants extract water which duly evaporates. I estimate last very dry Summer the theoretical deficit was as much as five inches and roots penetrated very deeply. My soil is effectively a sand filled basin. In Winter when transpiration and evaporation is relatively small water accumulates. By Christmas its deficit is usually restored and water starts to stand. If it is a wet Winter it floods. I won't bore you with the as yet unresolved sad saga of my silted up drain. Before this I did not have a problem. Last year in the very wet 2017/18 Autumn and Winter I had standing water January to late March. 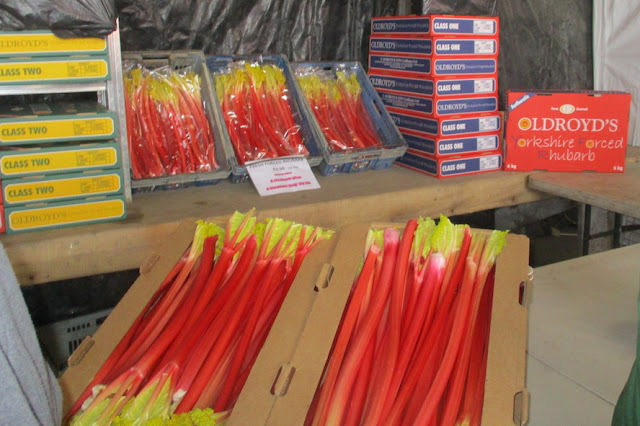 I reported how plants such as daffodils bravely came through it with no loss of quality. 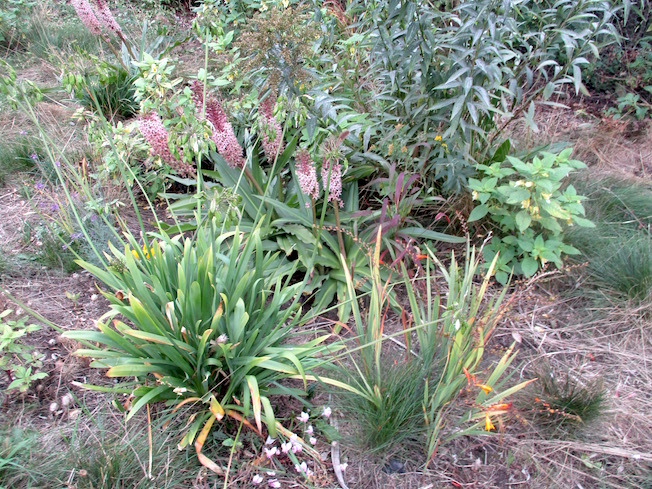 Most of my plants in that part of the garden are selected for water tolerance but even gunnera and astilbe did not enjoy the experience and several plants died. The other side of the coin of extreme windy weather is that considerable evaporation means that plants with a large leaf area rapidly dehydrate and those in containers need to be well watered. 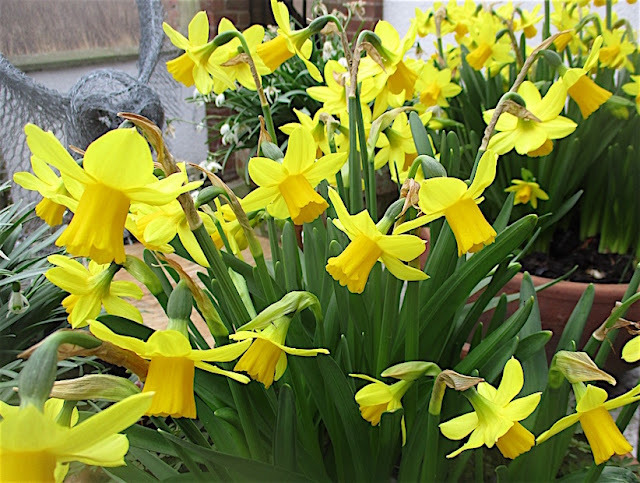 Many gardeners, complacent that they have got through the Winter without watering their outdoor bulb pots at all do not understand this and wonder why their daffodils do not perform. The contorted hazel can be the most elegant plant in the garden or the most ugly. It all depends on the pruning. Those who recognise that this plant almost inevitably produces straight rods from ground level which must be ruthlessly cut away will do better. Those who are brave enough to take out large pieces and give vent to their artistic vision will succeed. My friend (I hope still), blogger Sue Garrett rejoices she did nothing and now has very fine pea sticks. 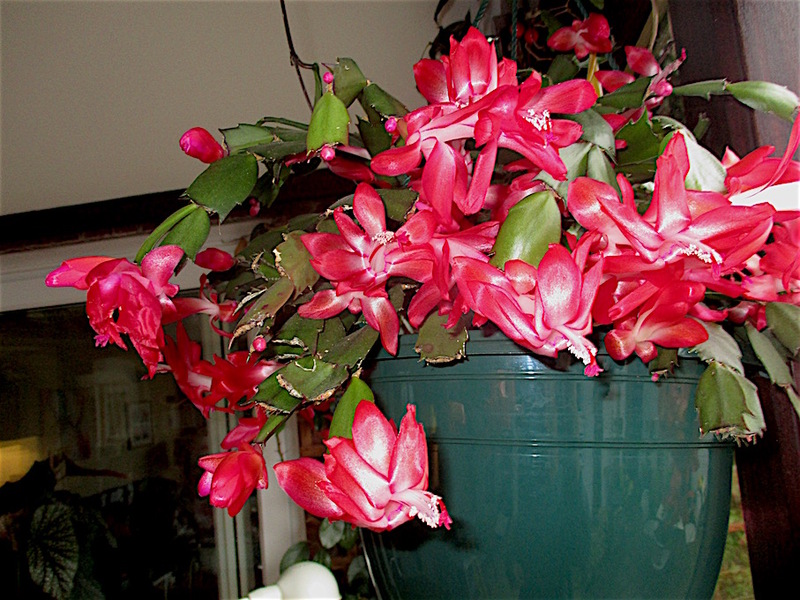 I had intended a post showing the continuity of flowering of six colours of Christmas cactus brought in in sequence from our frost-free front door glass lean-to. Maybe next year. The only week November to March without cactus flowers was Christmas week! Sod's law. Six weeks ago this was a dormant scruffy almost leafless bulb in our frost free area. This is the sixth year it has flowered in the same large pot of soil compost refreshed each year with a top dressing of my Yaramila fertiliser. 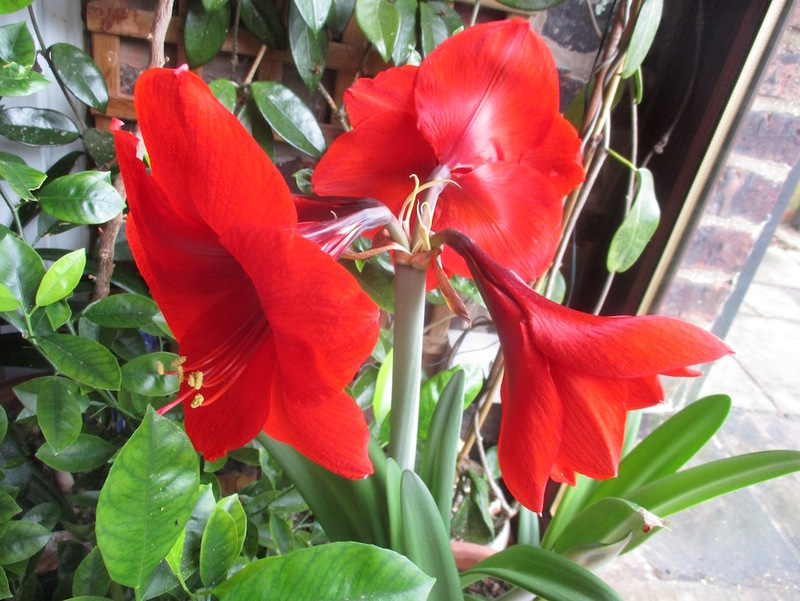 The conservatory is heated for our own comfort and when brought into warm conditions our 'lily' bursts into life. 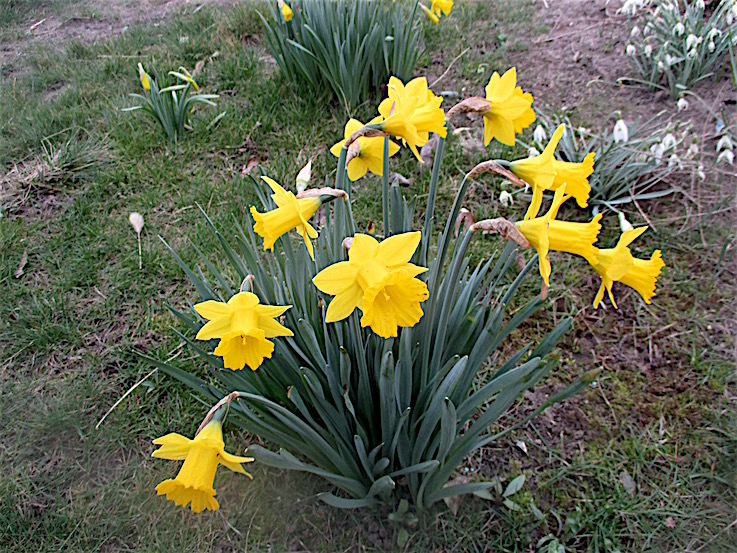 "Am I the only mad one round here"
My front grass verge gets run over by traffic and yesterday some idiot trotted her horse across it but my rugged Tenby daffodils are tucked far enough back to escape. 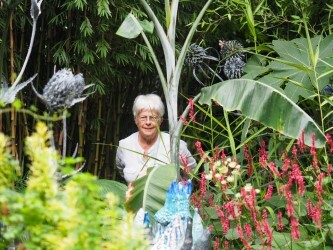 Forty years ago I picked up a small pineapple plant at the lovely walled nursery at Buttercrambe. I popped it in what was then my fairly new Bolton Percy cemetery garden. Since that time and with no special attention it has flowered each year but I regret it now barely survives! So much so when I decided last year to try a piece of it on my sandy soil at home the plants’s roots were so entangled between two gravestones I dare not risk moving it! On the other hand at home I have been growing two clones of Eucomis comosum that I first raised from seed nearly twenty years ago. 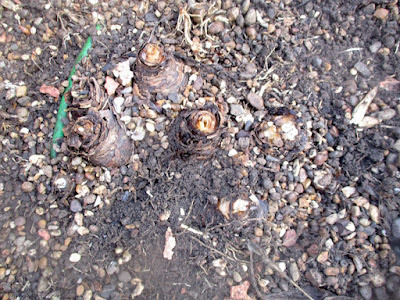 Since then I have propagated it vegetatively by division and now have a dozen or so clumps - some which have been in place more than a decade and contain up to 30 bulbs. 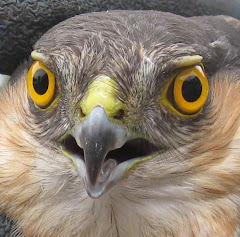 My original seed stock came from a seed distribution scheme. It was sown in my usual way in a pot of compost on receipt in January in my unheated greenhouse. Only three seeds germinated, all different. One got lost along the way, the other two distinct forms now go from strength to strength in four separate gardens. 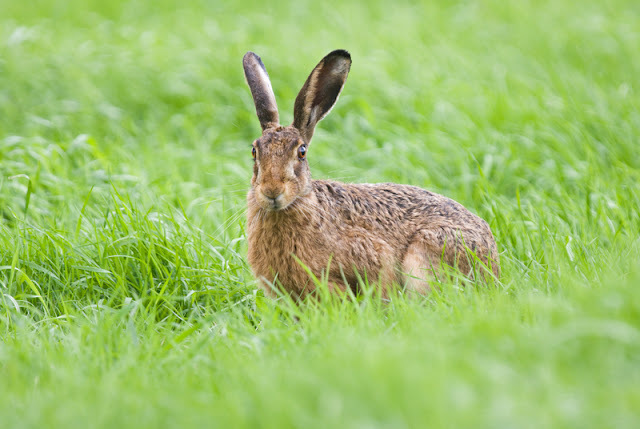 Garden visitors express surprise to see them and most have the silly notion that they are not very hardy. 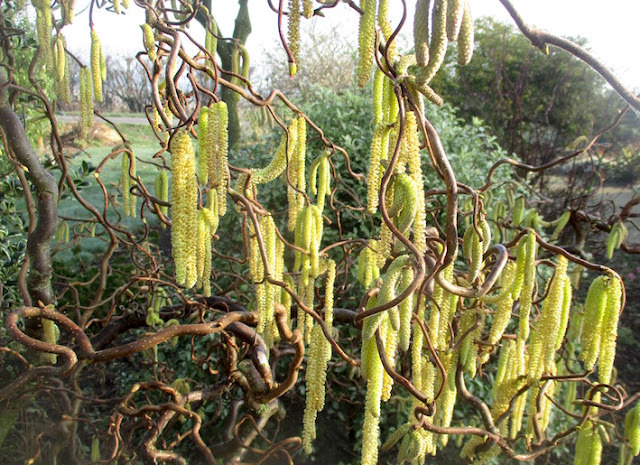 I suspect the idea arises because some modern fancy cultivars are only suitable for more delicate conditions (and lets face it a plant with a dodgy constitution suits the garden centres very well). I suspect most purchasers get small delicate bulbs or plants that have suffered the sales bench too long. 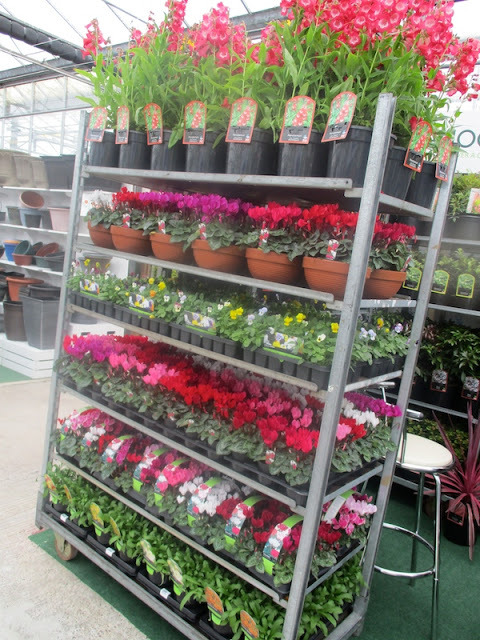 This is an example of garden centre affliction and if you get through the first winter you might be home and dry. 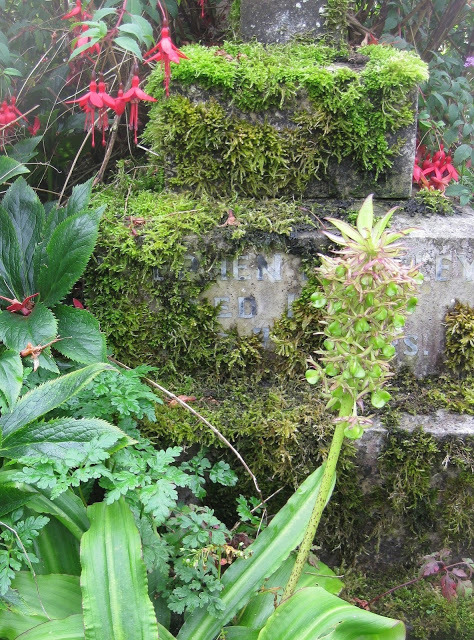 My further evidence about the hardiness of eucomis is that all my plants (all outside) survived the double Winter of 2010 when the ground was frozen solid for a very long time. My testimony applies to just three forms and I cannot of course vouch for the hardiness of all eucomis. I find my own in-garden eucomis transplanting and division hardly ever fails. 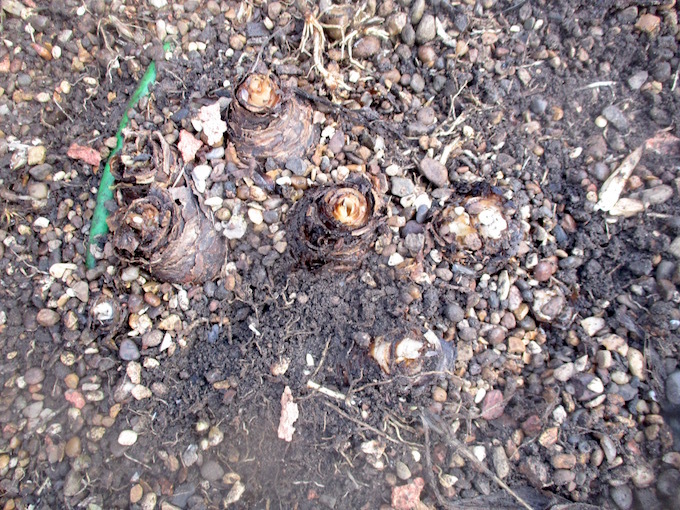 That is saying something as eucomis bulbs are so firmly attached to their deep strong roots in old clumps that I need the help of an axe. Some very dodgy sliced bulbs have survived! 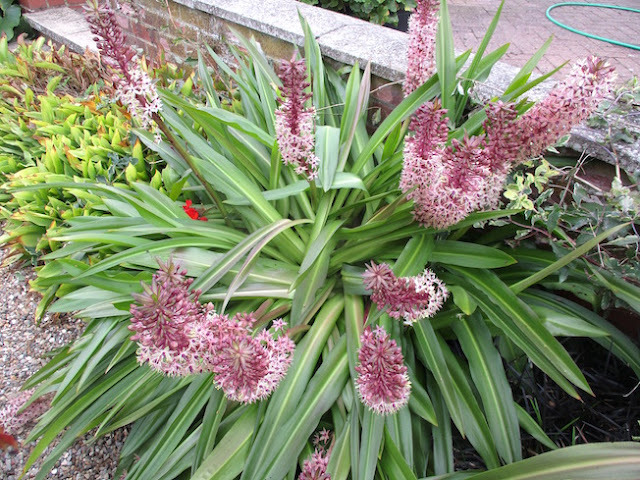 Eucomis is as tough as old boots with a fine constitution. 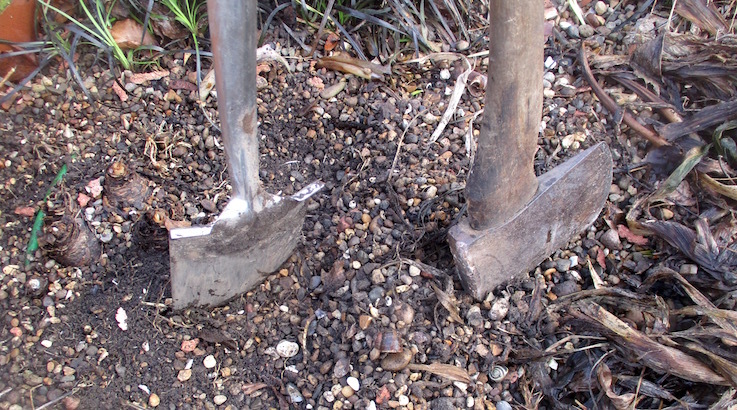 Most gardening books give the (incorrect) mandatory advice to plant in well drained soil. In their native South Africa they dwell in damp habitats and in the lower parts of my own garden they survived last Winter’s flooding with the dormant clumps barely above the flood water for three months. 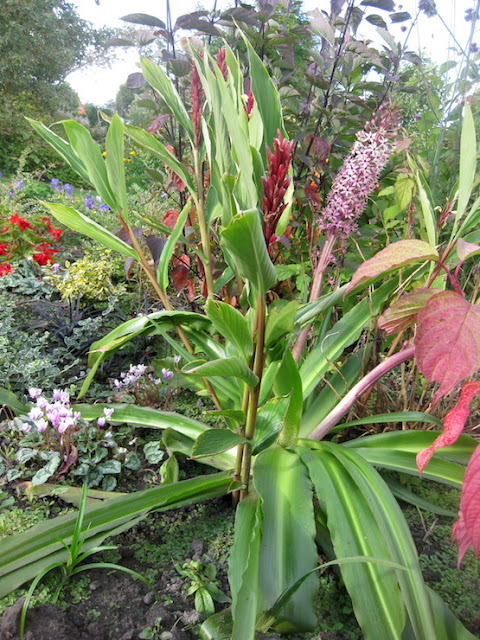 The village plot suffered similar flooding and eucomis came through. They do really well in wet parts of a garden (but not in a bog). I believe some gardeners find eucomis seed themselves all over. As far as I know mine have never set seed. I was alerted last month to the interesting pollination of a South African species by the delightful elephant shrew (apparently closer genetically to an elephant than a shrew) and cannot resist giving a link to the delightful video (below). 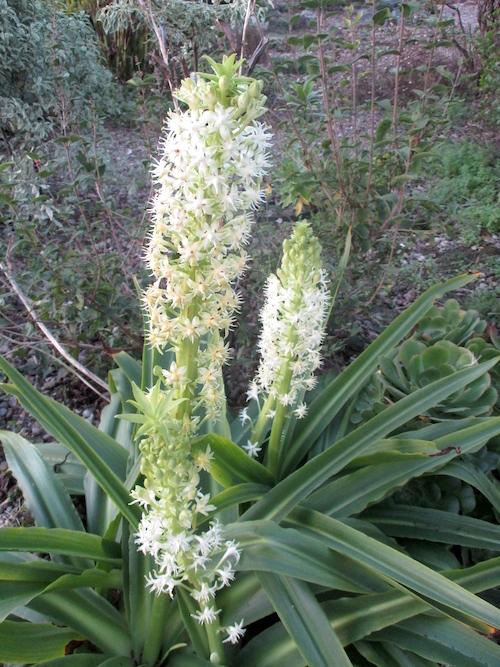 It would seem that eucomis pollinators are directed by scent and not colour. Most are pollinated by flies and specific wasp species which search for the nectar. The scent is variously described as boiled potatoes, sulphurous or foetid. I have never noticed. This year I will be watching closely and even try some hand pollination. I might get seed to give to my friends. As I write the lawn is under water- just like January and February last year!